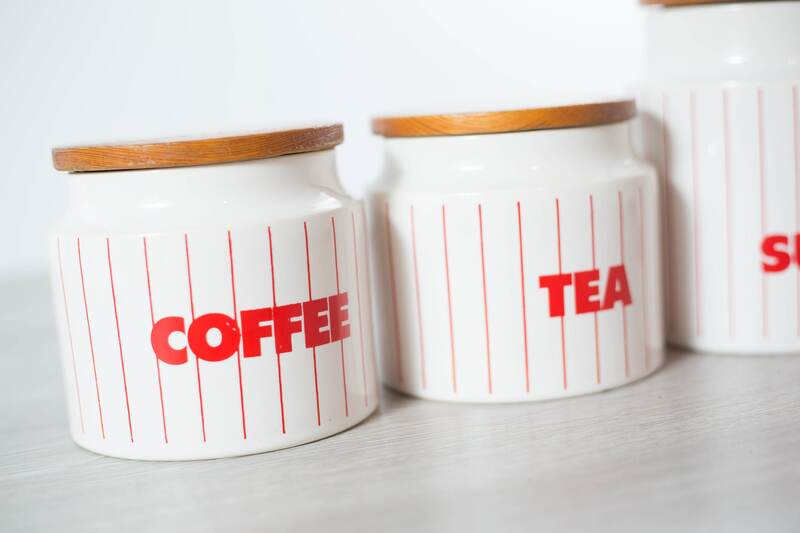 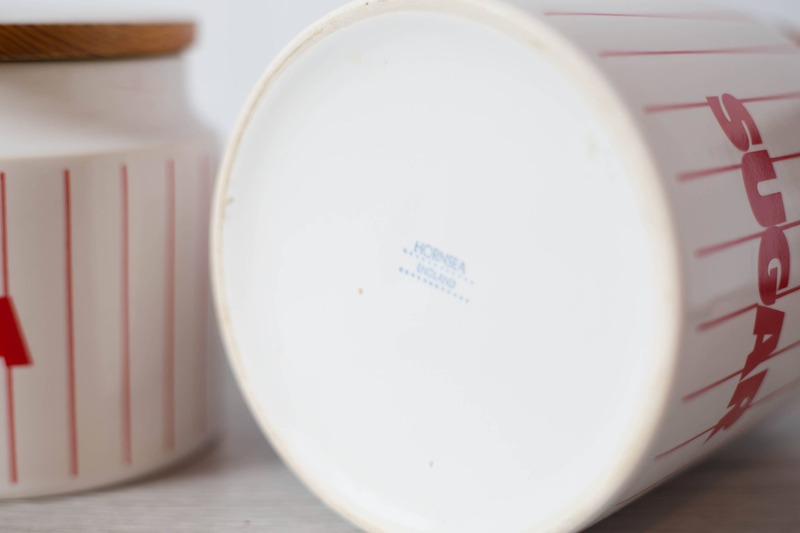 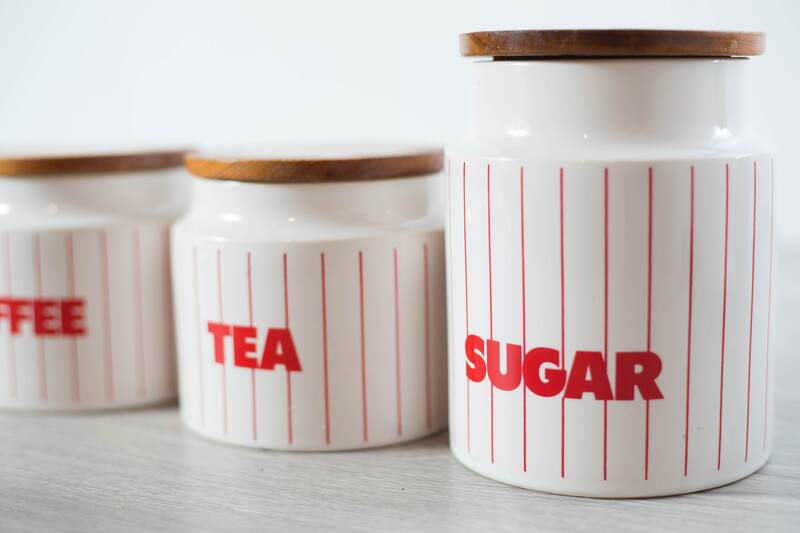 This is a fantastic set of 3 vintage Hornsea canisters - coffee, tea, and sugar. 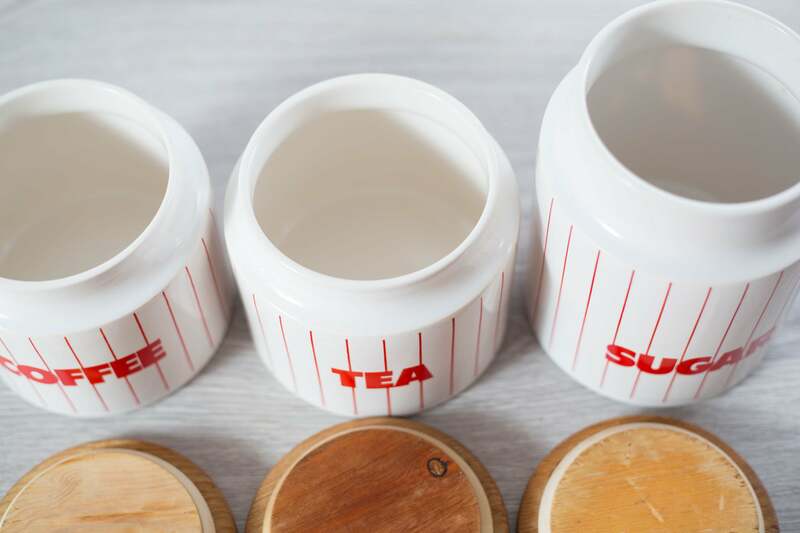 They are made in England and have a real 1950's diner feel, with the red and white pattern. 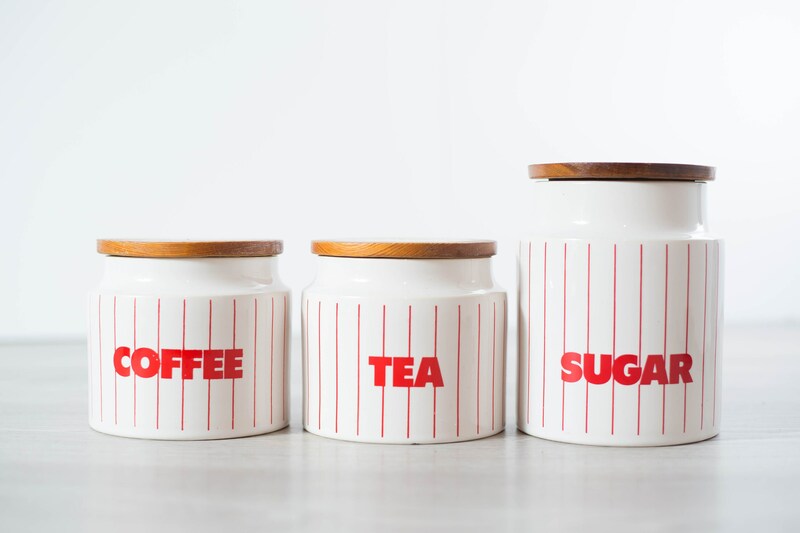 We love the lettering! 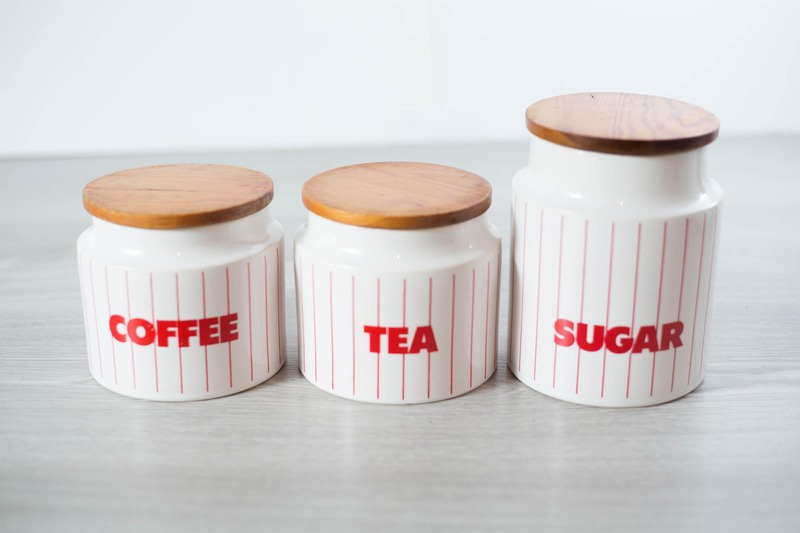 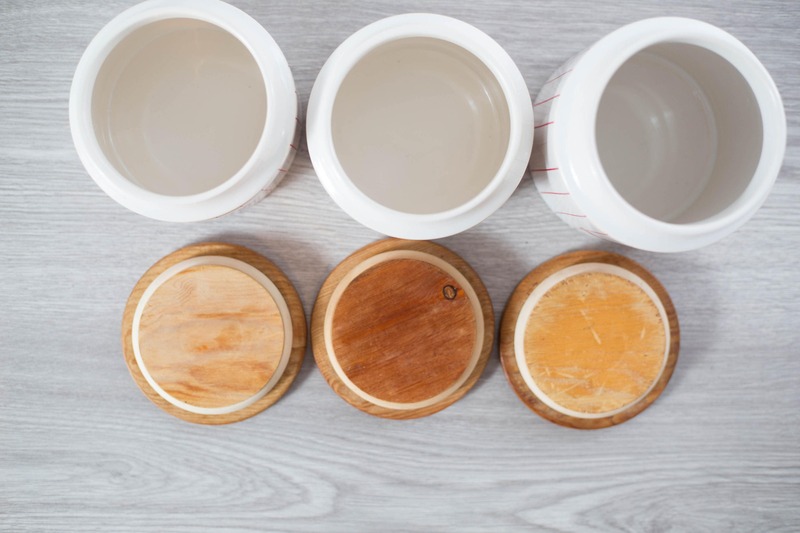 Great for storing your kitchen necessities or for decorative purposes. 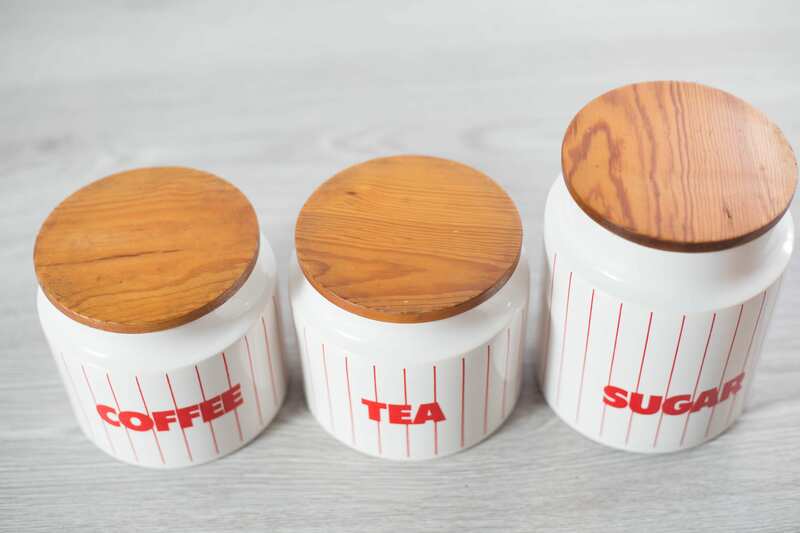 Price is for all 3 canisters.